Try the relaxing atmosphere in our Lounge, with ample seating and a raised balcony area for you to enjoy with friends. This is the view looking towards the balcony area. This is the view looking towards the bar. 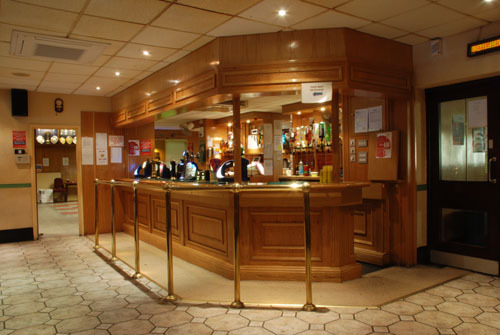 This is the view of the Bar, with the Games Room to the left and the Concert Room to the right..